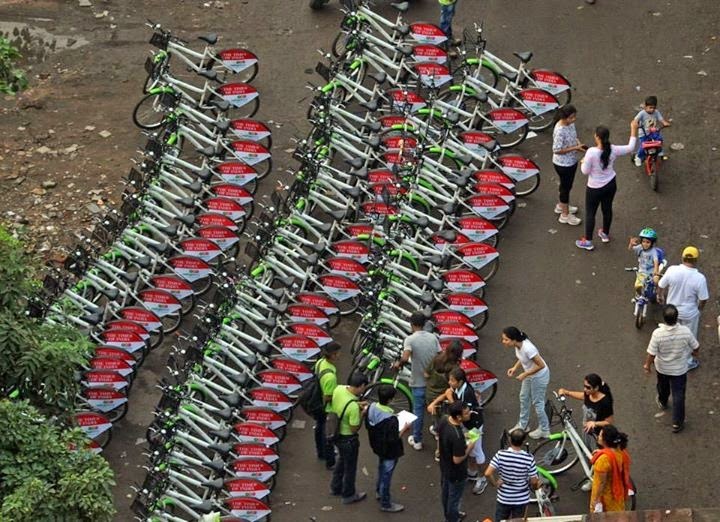 TImes Of India, Raahgiri Day , the weekly event that closes city streets to cars to celebrate walking, biking, music-making, and socializing, has expanded beyond Ahmadabad, India. 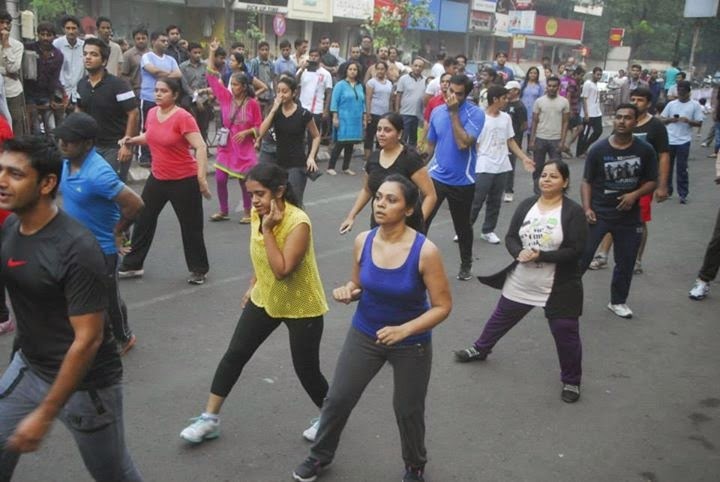 It was unlike any other Sunday morning as hundreds of Amdavadis came together on the second Raahgiri Day in November. 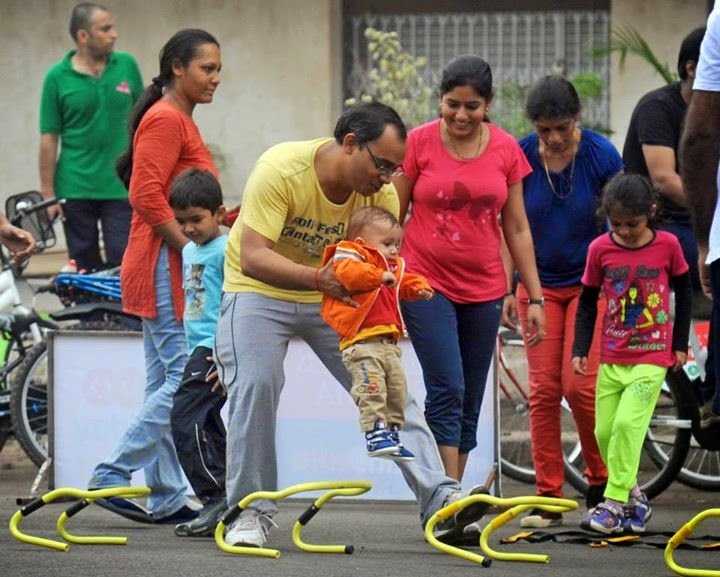 The stretch of CG Road — from Panchvati to Swastik Crossroads — which is known for its traffic snarls and loud blare of car horns, was transformed into a happening park of sorts as the young and old came together at the crack of dawn to participate in a number of fun activities or simply to socialize. 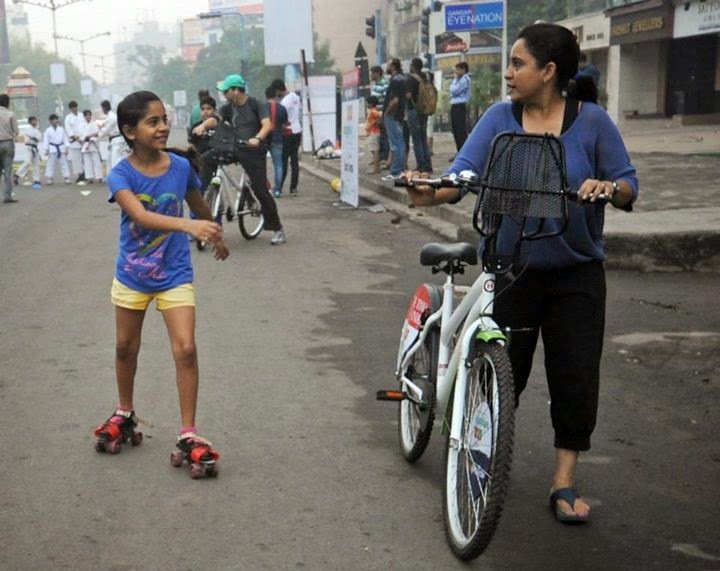 As the young ones enjoyed a ride on their cycles and scooters, tried their hands at various crafts and even engaged in sports activities like the zumba, the older ones shook a leg to foot-thumping music, socialized with each other and shared some gossip while walking on the street. 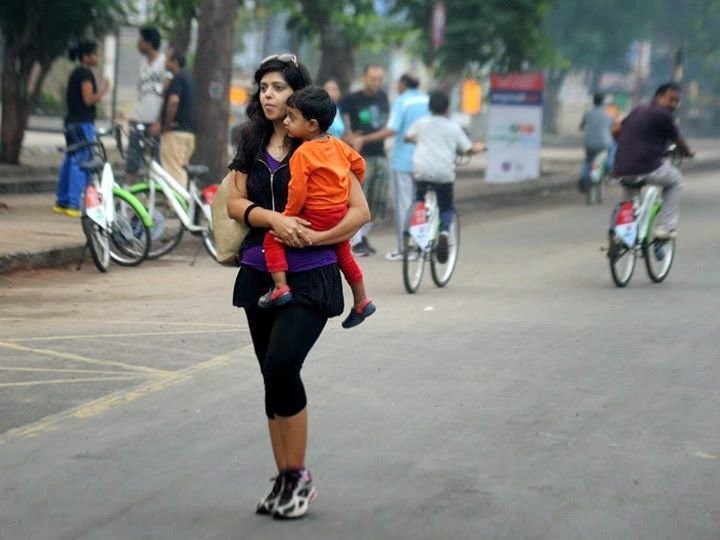 The Raahgiri Day, a mission supported by Times Of India to reclaim the streets for citizens and drive urban life on to the green path, brought a new life to CG Road. 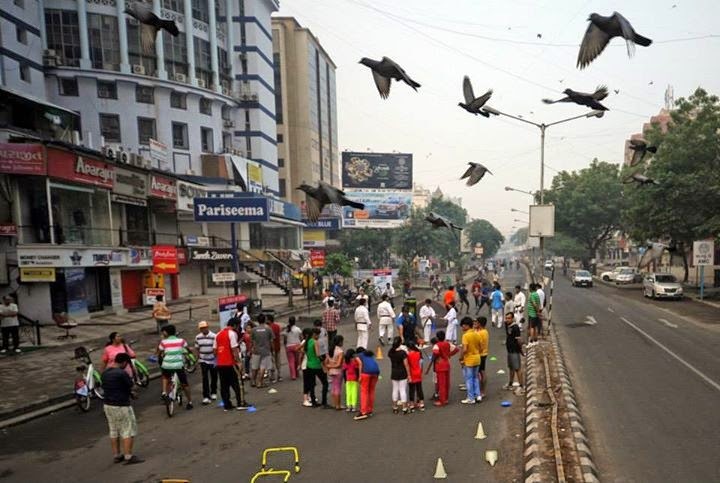 Not just that, while some kids chucked the mobile phones to play traditional games like nagolchuand pagathiya, some school kids also took to spreading awareness about the Swachch Bharat campaign and an eco-friendly lifestyle. 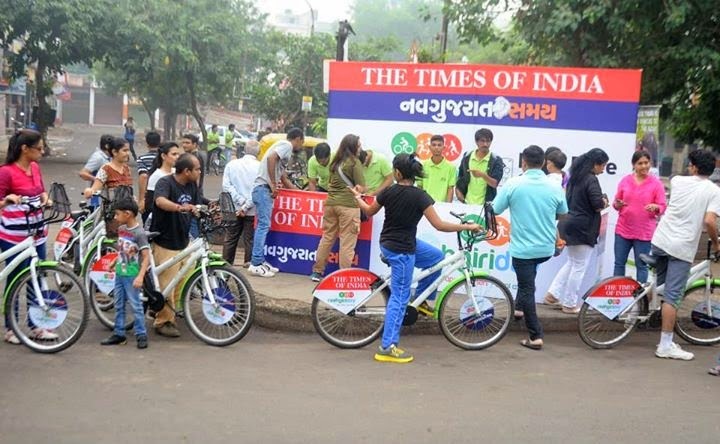 Amdavadis made the most of the healthy and stress free Sunday and are waiting for an encore!